Nagpur: Resident Doctors of Government Medical College, Nagpur are indeed facing tough response from the government, which is taking a stern action by cutting their salaries for the days that they were on strike last month. Medical Dialogues team had earlier reported that 350 resident doctors associated Government Medical college and Hospital, Nagpur had gone on Strike in the Month of October demanding additional security. While demand for more security guards had been there for a long time, the security issues at the medical college indeed became blatant when the naked body of a murdered woman was found lying in the bushes adjacent to the hospital’s ward. This coupled with the fact that Maharshtra Security Force (MSF) guards were on strike at that time led the insecure medical college residents call a mass-bunk demanding the authorities to take action. While the government promised to meet their demands, which led to doctors calling off the strike, the resident doctors were in for a surprise when they received their paychecks this month. 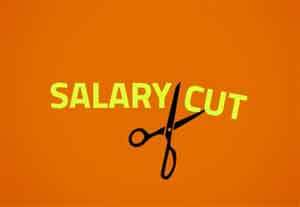 Nagpur Today reports that they have now received their salaries with 5 days deducted from their last month’s pay. Dr Lajpat Agrawal, Secretary of Maharashtra Association of Resident Doctors (MARD) confirmed the same to Nagpur Today stating all the resident doctors who shunned the work last month had been given deducted salary. The salary of 5 days has been cut from each doctor’s pay, he added. The move is indeed first of its kind, as historically when government does respond to doctors demands during strike, it adds that no punitive action shall be taken against the doctors. Resident doctors are indeed lamenting, that while their many of their promised demands were not met by the government, they are on the receiving end for making basic demands such as security. The doctors also complained about but have received no response. You probably have never been over worked i think. 9 to 5 + study time but doctors life is not like that. Sometimes 24 hours duty and no security also. Go stay in a busy icu or Casualty for 1 day in a gh and u will not make such foolish statements. No one wants to strike and if doctors strike, it\’s when they are desperate. I\’m glad jawans don\’t strike but if they did, our politicians would treat them better. Doctors should be lathi charged and actually killed. If doctors do not work professionally like charging appropriately, charging for telephone calls, extra for overtime or over efforts, working on weekends etc etc, they are actually degrading themselves. And idiots like wise politicians, generous gundas or learners fools within ourselves will be free to use their mob mentality on such dumb doctors. It takes some time in the profession to know what\’s wrong. All the unrest in all of India is not for fun or just money. Think about it, talk about it, ask about it but don\’t rebuke it without facts.